– ROMEC XVII – The Roman Military Equipment Conference, Zagreb (Hrvatska), sa radom: Knives and Daggers in graves from Viminacium. – LIMES 21 – The XXIst international LIMES (Roman Frontiers) congress at Newcastle upon Tyne, Njukasl (Velika Britanija), sa radom: Bringing to life the ancient city of Viminacium on the Danube. – X međunarodni simpozijum „Funerary Practices in Central and Eastern Europe (10th century B. C. to 3rd century A.D.)“, Tulča (Rumunija), 10–12. 10. 2008, sa radom: Cremation burials at Viminacium (I–III c. A. D.). – XVII međunarodni kongres klasične arheologije AIAC „Meetings between cultures in the ancient Mediterranean“, Rim (Italija), sa radom: The recent discovery of temple complex at Viminacium. – RAC/TRAC 2007 Seventh Roman Archaeology Conference, London (Velika Britanija), sa radom: Burial in Viminacium I–IV century A. D.
– ROMEC XVI – The Roman Military Equipment Conference, Ksanten (Nemačka), sa radom: Killed by the arrow – grave No 152 from Viminacium. – Second International Conference on Experimental Archaeology and Archaeological Parks, Százhalombatta (Mađarska), sa radom: Presentation of prehistoric and ancient archaeological remains at Viminacium. – International Archaeological Conference „The Lower Danube in Antiquity“, Tutrakan (Bugarska), sa radom: Graves in the Shape of a Well or Sacrificial Pits at Viminacium? – International Symposium in Modra – Harmonia (Slovakia): Schmuck und Tracht der Antike im Laufe der Zeit, sa radom: Jewellery and costume decorations in the cremation graves from Viminacium. – XVIII International LIMES Congress, Aman (Jordan), sa radom: Decorated lead sarcophagi from Moesia Superior. – VII International Congress of Thracology, Mangalija (Rumunija), sa radom: Graves of the Mala Kopašnica – Sase Type at the Viminacium Cemetery from an Aspect of their Ethnic Origin. Snežana Golubović, Grobovi u obliku bunara sa nekropola Viminacijuma, Beograd 2008. Miomir Korać, Snežana Golubović, Viminacium – Više Grobalja 281-530 (kremacija), 268-560 (inhumacija), Tom II, Arheološki institut – Centar za nove tehnologije, Beograd 2009. Miomir Korać, Nemanja Mrđić, Snežana Golubović, Itinerarium Romanum Serbiae, Beograd 2009. Korać, S. Golubović, The Recent Discovery of a Temple Complex at Viminacium, Bolletino di Archeologia on line, Roma 2008, 33–36. Golubović, N. Mrđić, Territory of Roman Viminacium – From Celtic to Slavic Tribes, Anodos 10/2010, Trnava 2011, 117–126. Ilić, S. Golubović, N. Mrđić, Supplying and Transport along Danube Limes in Upper Moesia, Arheologija i prirodne nauke 6/2010, Beograd 2011, 61–76. Graves of the Mala Kopašnica – Sase Type at the Viminacium Cemetery from an Aspect of their Ethnic Origin, The Thracian World at the Crossroads of Civilizations II – Proceedings of the Seventh International Congress of Thracology, Bucharest 1998, 247–260. A Grave in the Shape of a Well from the Necropolis of Viminacium, Archaeologica Bulgarica III/3, Sofia 1999, 9–22. Obuća iz trikonhalne grobnice sa Viminacijuma, Viminacium 11, Požarevac 2000, 83–94. Prilog proučavanju olovnih sarkofaga u Gornjoj Meziji, Viminacium 12, Požarevac 2001, 135–158. Decorated lead sarcophagi from Moesia Superior, Limes XVIII – Proceedings of the XVIIIth International Congress of Roman Frontier Studies held in Amman, Jordan (September 2000), BAR International Series 1084 (II), 2002, 629–640. Jewellery and costume decorations in the cremation graves from Viminacium, Anodos 3, Studies of the Ancient World 3/2002, Trnava 2004, 79–90. Graves in the Shape of a Well or Sacrificial Pits at Viminacium?, Proceedings of the International Archaeological Conference “The Lower Danube in Antiquity”(VI C BC – VI C AD), 6–7. 10. 2005, Bulgaria – Tutrakan, ed. : Lyudmil F. Vagalinski, Bulgarian Academy of Sciences, National Institute of Archaeology and Museum, Sofia 2007, 121–130. Cremation Burials at Viminacium (I–III c. AD. ), Funerary Practices in Central and Eastern Europe (10th c BC – 3rd c. AD), Brăila–Braşov 2008, 109–118, with M. Korać. Arheološki park Viminacijum – turistička atrakcija, Unapređenje turizma kao faktor razvoja privrede Republike Srbije, Beograd 2010, 423–430, with M. Korać and B. Milovanović. Killed by an Arrow – Grave 152 from Viminacium, XVI ROMEC (The Roman Military Equipment Conference), Xantener Berichte 16, 2009, 55–63, with N. Mrđić and C. Scott Speal. Hronologija viminacijumskih nekropola u svetlu pronađenih fibula, Arheologija i prirodne nauke 1 (2006), 57–60, with S. Redžić and Angelina Raičković. Izveštaj o arheološkim istraživanjima na lokaciji kod koraba (Viminacijum), Arheološki pregled 2/3, Beograd 2008, 46–50. Lyudmil Ferdinandov Vagalinski, BURNISHED POTTERY FROM THE FIRST CENTURY TO THE BEGINNING OF THE SEVENTH CENTURY AD FROM THE REGION SOUTH OF THE LOWER DANUBE (Bulgaria), Sofia 2002, in: Starinar LV/2005, Beograd 2006, 208–211. – Seventh International Congress of Thracology in Mangalia (Romania): Graves of the Mala Kopašnica-Sase Type at the Viminacium Cemetery from an Aspect of their Ethnic Origin. – XVIII International LIMES Congress in Aman (Jordan): “Decorated lead sarcophagi from Moesia Superior”. – International Symposium in Modra – Harmonia (Slovakia): Schmuck und Tracht der Antike im Laufe der Zeit, with lecture “Jewellery and costume decorations in the cremation graves from Viminacium“. – International Archaeological Conference »The Lower Danube in Antiquity«, Tutrakan (Bugarska), 6–7. 10. 2005, with lecture: Graves in the Shape of a Well or Sacrificial Pits at Viminacium? – Second International Conference on Experimental Archaeology and Archaeological Parks, Százhalombatta (Mađarska), 16–19. 03. 2006, with lecture: Presentation of prehistoric and ancient archaeological remains at Viminacium. – Presentation of the project Viminacium at the meeting „Dnevi arheologije v Piranu”, 27–29. 10. 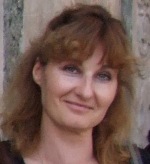 2006, in Piran (Slovenia). – RAC/TRAC 2007 Seventh Roman Archaeology Conference, 27. 03. 2007. – 01. 04. 2007, London (Velika Britanija), with lecture: Burial in Viminacium I–IV century A. D.
– ROMEC XVI – The Roman Military Equipment Conference, 13. 06. 2007. – 16. 06. 2007, Xanten (Nemačka), with lecture: Killed by the arrow – grave No 152 from Viminacium. – 10 International Symposium „Funerary Practices in Central and Eastern Europe (10th century B. C. to 3rd century A. D.)“, Tulcea, Romania, 10–12. 10. 2008, with lecture: Cremation burials at Viminacium (I–III c. A. D.). – XVII International Congress of Classical Archaeology AIAC „Meetings between cultures in the ancient Mediterranean“, 22–26. September 2008, Rome, with lecture: The recent discovery of temple complex at Viminacium. – LIMES 21 – The XXIst international LIMES (Roman Frontiers) congress at Newcastle upon Tyne, 17–23. August 2009, sa radom: Bringing to life the ancient city of Viminacium on the Danube, with M. Korać. – Turistički imidž Srbije kao faktor razvoja privrede, Prolom Banja 16–18. april 2010, with lecture: Arheološki park Viminacijum – turistička atrakcija, with M. Korać and B. Milovanović. – ROMEC XVI – The Roman Military Equipment Conference, 24. 06. 2007. –27. 06. 2007, Zagreb, with lectures: “Knives and Daggers in graves from Viminacium” and “Study of soldiers burials on the cemetery of Viminacium“, with M. Korać and N. Mrđić.